In 1976, Porsche introduced their first transaxle powertrain with the type 924 and embarked into new = and some might say murky - waters. Unlike the venerable 911, the 924's engine is mounted in front, but the transmission is at the rear axle, thus the "transaxle" designation. All told, between 1976 and 1995, Porsche built a generation of sports cars that deviated far from the established principles of the 911 – in the types 924, 928, 944 and 968. Now, on the occasion of the 40th anniversary of these models, the Porsche Museum is showing 23 exceptional examples of these cars in the framework of the special exhibition "The Transaxle Era. From the 924 to the 928." Over half of these Porsches are being exhibited at the museum for the first time ever. The transaxle models were a great economic success for Porsche during this time; they sold nearly 400,000 of the new drivetrain configuration. In addition to exhibiting a selection of production and race cars, the Porsche Museum also shows select prototypes and concept cars that have so far never left the museum's exhibit hall. For instance, a number of different derivatives of the Porsche 924 that initially served as an entry-level model are on display. The 924 Turbo Targa prototype of 1979 is being shown for the first time. Although this model never went into production, its design flowed into the development of the 944 cabriolet. 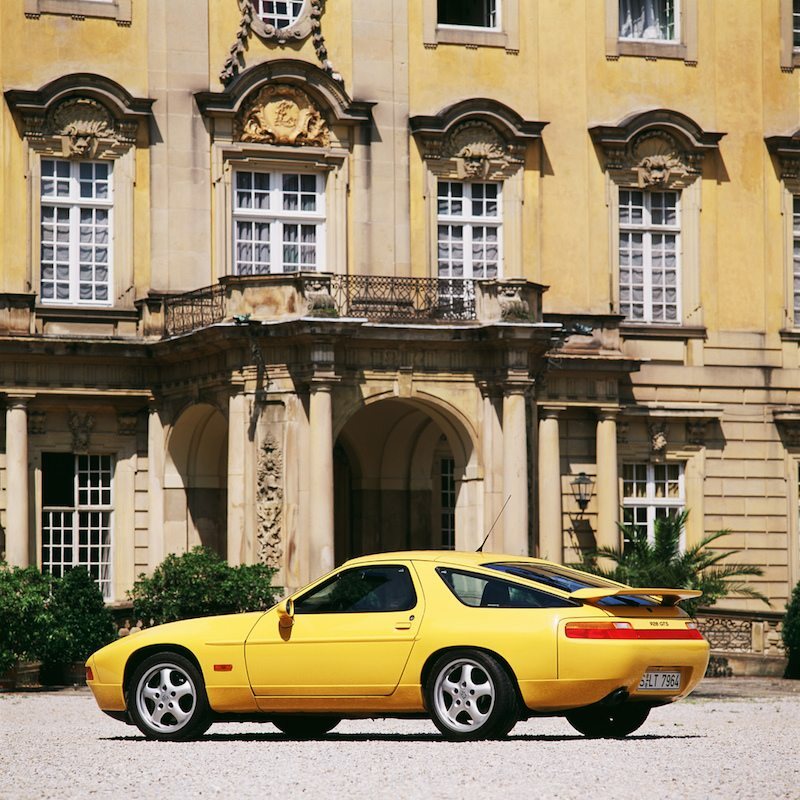 The Porsche 928, which celebrated its premiere at the Geneva International Motor Show in March 1977, was initially intended to replace the 911. As a Gran Turismo and luxury sports car, it forged entirely new paths with much better ride comfort and a large trunk. Just one year later, in 1978, the 928 became the only sports car to date to be named "Car of the Year". As part of a potential extension of the 928 model line, work began on a cabriolet version of the Gran Turismo in the spring of 1987. This resulted in the 928 S4 cabriolet concept car, which – for better or worse – would never be produced. This one-of-a-kind prototype is also being shown in the special exhibit along with five other 928 models. The 944 was positioned as a link between the 924 and the 911 with its 163-hp four-cylinder engine. Right from the start, the 944 was accepted as a "genuine" Porsche, not least because of its Porsche engine that was derived from the 928. No previous Porsche model had sold so well or quickly as the 944. By the time its production ended in 1991, a total of 163,302 units of the 944 model line had been produced. The special exhibition includes such items as the cabriolet concept car from the year 1985, which is being shown in public for the first time. This model, painted in flamingo pink, is distinguished by a 183-hp four-valve per cylinder engine with a catalytic converter, airbag and ABS. The first concept of a 944 cabriolet was presented in 1985 at the International Motor Show (IAA) in Frankfurt am Main. Other 944 models of the special exhibition include the "Luna" project, which was essentially an endurance test conducted by the Austrian endurance specialist Gerhard Plattner in 1987. He travelled from North America across Europe to Asia in a period of 258 days, covering 384,405 kilometres – equivalent to the distance from the Earth to the moon. The Porsche 968 – a product of 15 years of technical evolution – marks the end of the transaxle era. Its centerpiece is a 240-hp three-litre engine that is one of the world's most torque-strong four-cylinder naturally-aspirated engines. Visitors to the museum will enjoy seeing a roadster concept of the Porsche 968 that was created in 1992 under the leadership of the former head of design, Harm Laagay. The main traits of this prototype are the soft and muscular form of its wings, a dynamic cockpit section and an emotionally-charged interior. At the end of 1992, the 968 roadster project was retired in favor of the Boxster concept car that was presented in early 1993. Sunday, May 22, is "International Museum Day", and the Porsche Museum invites visitors to attend its "Transaxle Day". Along with free admission on that Sunday, many guided tours will be conducted through the special exhibition. In addition, private owners will be showing their transaxle vehicles at various parking places around the museum. Visitors can look them over at the entrance plaza to the museum, in the logistics courtyard and in front of the branch office. A highlight will be the Transaxle Talk at the shop inside the museum, in which time period witnesses who were very involved with the models will offer a retrospective on the development and successes of the 924, 928, 944 and 968 models. Want To Drive For Porsche? You Can Apply Online Starting May 1st!